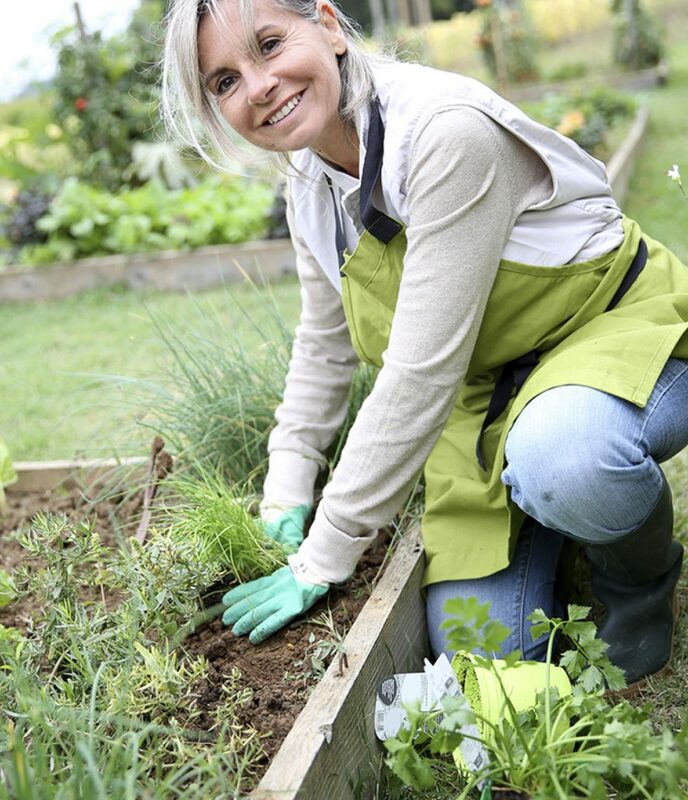 Gardening is a great outdoor activity anyone can enjoy. But, like any other location in the home, the garden is also a place where injury can occur. These helpful tips will keep your back in check and your garden in bloom. Before you get going, warm up your muscles with a brisk 10-minute walk around the block or even on the spot. Swing your arms and lift your knees to enhance the benefits. Follow your warm up with these easy, low-impact stretches. Repeat each stretch five times. Relax and do not overextend when you stretch. Remember to take frequent stretch breaks while working in the yard. 1. Extend your right arm over your head. 2. Bend toward the left from the waist. 3. Hold for 15 seconds and repeat on the other side. If you experience back pain that lasts more than a few days, consult a chiropractor for an evaluation. To find a chiropractor near you, visit chiropractic.ca. 1. Steady yourself against a tree, wall or railing. 2. Bend your right knee and grasp the ankle with your left hand. 3. Hold for 15 seconds and repeat with your left knee. 1. In a seated position, bend forward from the hips, keeping your head down. 2. Touch your fingers to the ground. 1. Let your arms hang loosely at your sides; rotate your shoulders back and forth. 2. Hug yourself snugly and slowly rotate at the waist to the left and the right. Before lifting, position yourself close to the object. Keep your back straight and bend your knees using your leg and arm muscles to smoothly and slowly lift the load. Keep the load close to your body and pivot – don’t twist – to turn. Drink lots of water to keep your body well hydrated. The discs of your spine require water to keep them cushiony and functioning properly. Rest when you’re tired and take time out for stretching to loosen tense muscles. 10. Have regular spinal checkups.